Pitchfork report that Jennifer Herrema and Neil Hagerty, the duo that comprised 80s/90s madcap lo-fi band Royal Trux, have reunited on the new album by Herrema's band Black Bananas. In a message on Facebook, Herrema writes: "Forthcoming Black Bananas Lp. will include 2 new songs co-written with Neil Hagerty STOKED!!!!!!! :)". 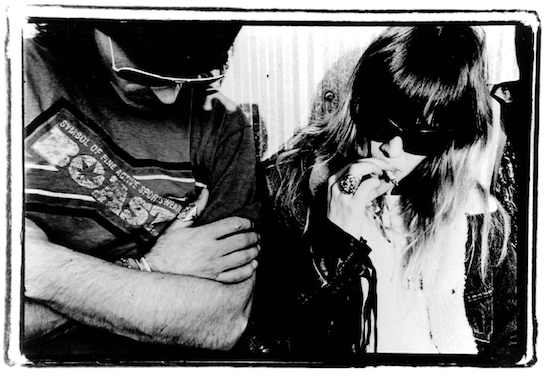 Stay tuned for further updates, and in the meantime have a read of Neil Kulkarni's excellent interview with Herrema looking back over her time in Royal Trux.